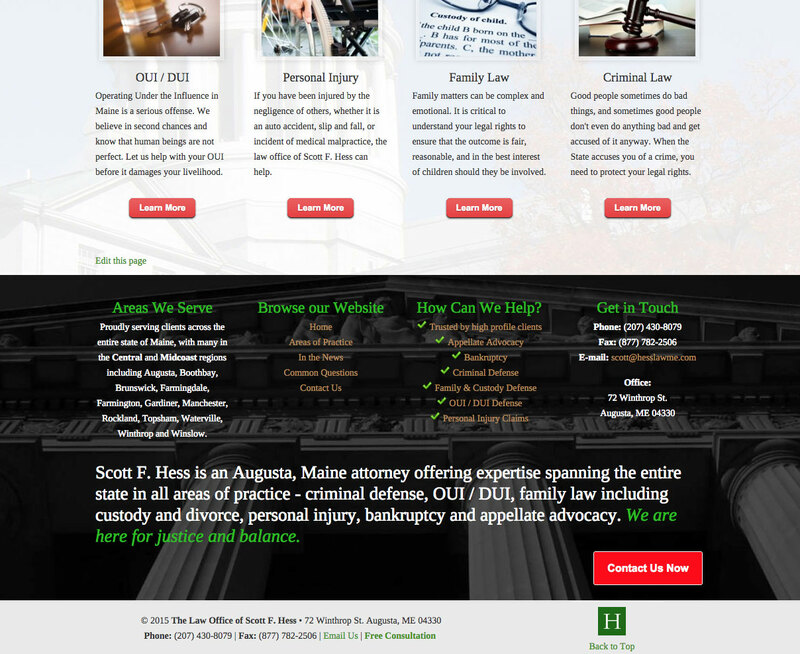 Here’s a fun project we worked on for the Law Office of Scott F. Hess, Esq. 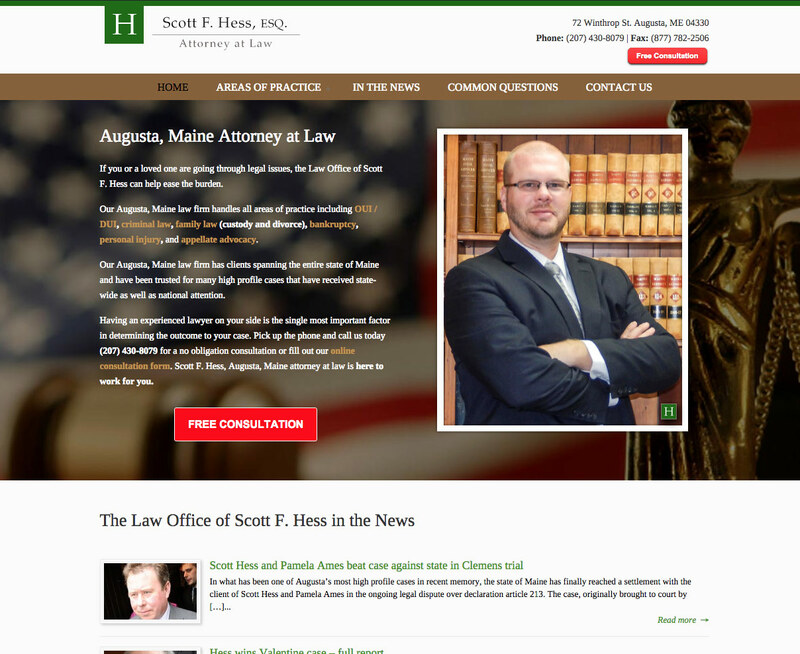 Having handled many of Maine’s high profile cases, we were already familiar with Scott’s firm prior to him contacting us. His previous website was a blank landing page with only a phone number so needless to say we had a lot of creative freedom (yes, we took full advantage of it.) We handled full branding, copy writing, design, development, and some SEO for good measure.